Since New Zealand is currently consumed by rugby fever and we haven’t the time to indulge in anything so tedious as birdwatching, I thought I’d dive back under the sea to introduce one of New Zealand’s most iconic aquatic organisms, the Australasian Snapper (Pagrus auratus). 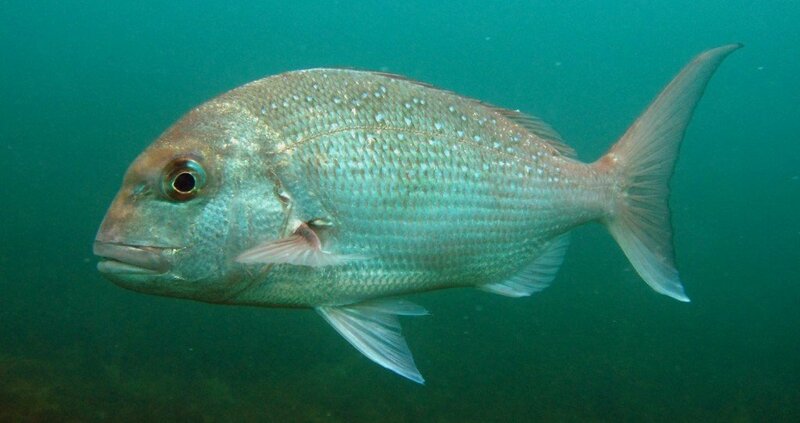 The species is fairly widespread in the Western Pacific, ranging from New Zealand to Japan, and contrary to its name it isn’t actually a true snapper (family Lutjanidae), but is instead a member of the porgy and sea bream family (Sparidae). Snapper (as they are usually called here) are common inshore fish that eat just about anything. One sample snapper examined in a study found 99 different types of food in the stomach, a mix of crabs, worms, echinoderms, shellfish, fish and other prey items. They also have an interesting life history, staring life as females, but at about the age of two and a half around half the population changes and becomes male, and the remainder become female. The reach sexual maturity at about 25 cm in length, but a large adult can be up to 75 cm long. Being both large and common means that snapper have long been fished in New Zealand. They were an important food for the Maori and dominated the diet in some parts of the north. They were also part of the diet of early European settlers. The fishing eventually became industrialised, and by the late 1970s and early 1980s the fishery had collapsed. A quota system was introduced, which hasn’t completely allowed the species to recover but has at least pulled it back from the brink. An interesting aspect of the fishing of this species is the fight between recreational and traditional (Maori) fisheries and commercial ones, which resulted in a court ruling that recreational and traditional fishing was a right derived from and protected by common law, but that commercial fishing wasn’t. 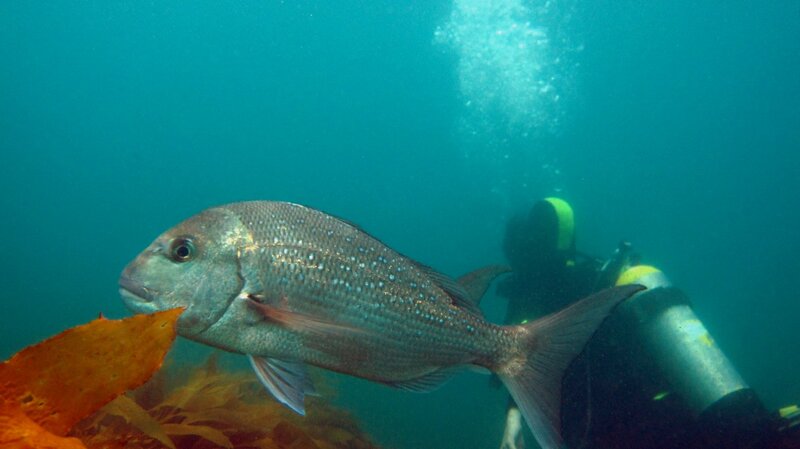 Protected snapper show no fear and even considerable curiosity when it comes to divers. Possibly due to often being fed! 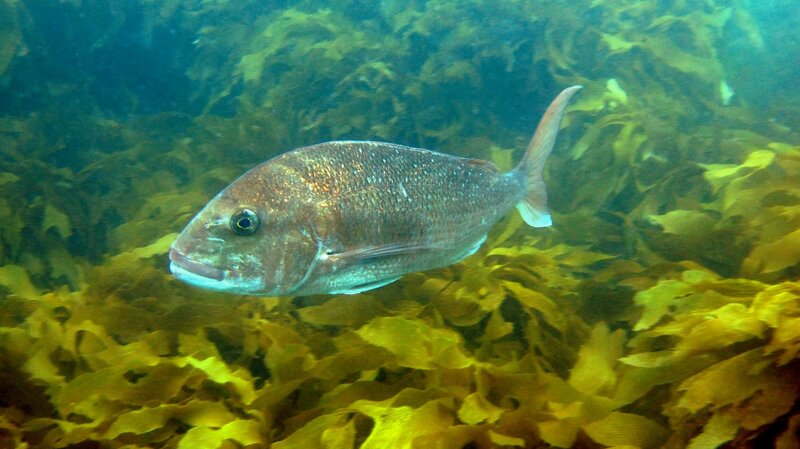 Australasian Snapper are one of many marine species that have benefited from the creation of Marine Reserves around New Zealand. The first such reserve, Goat Island Marine Reserve, was established in 1975, and to date there are 33 reserves around New Zealand that protect 7% of New Zealand’s territorial waters. The snapper around Goat Island, where all the photos I’ve included were taken, are bold and numerous, and studies have found 14 times as many adult snapper in the reserve as are found in similar unprotected waters. The increase in snapper has had ecological effects as well, most noticeably the decline in kina, or sea urchins. 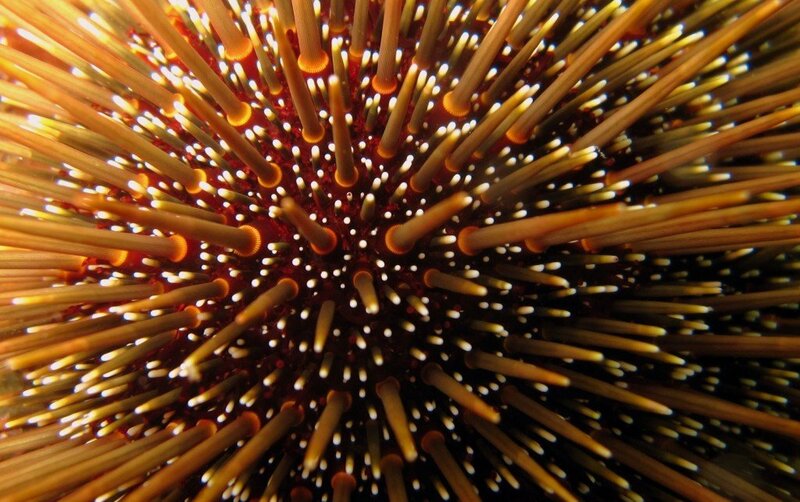 In the absence of predators like snapper and crayfish the kina had increased in numbers, and the increased numbers resulted in increased grazing on kelp, leading to what are known as urchin barrens. But with the increase in predators the kelp recovered around Goat Island, to the benefit of many other species. Its a powerful demonstration of the potential of marine protected areas. 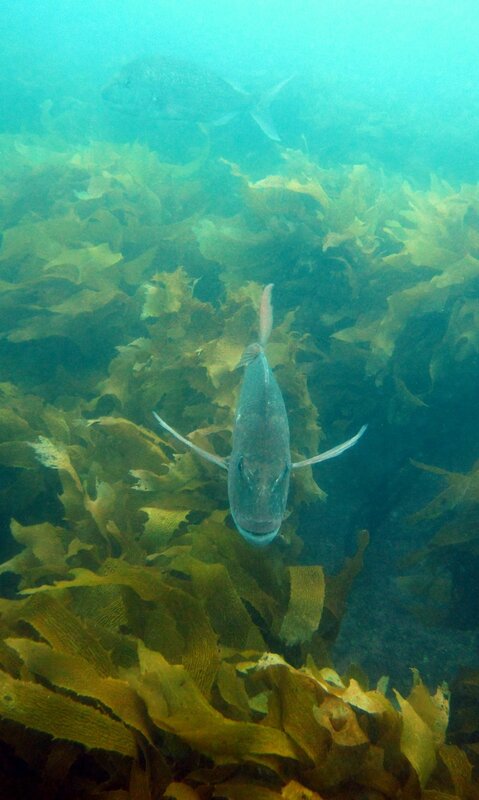 And adult snapper in a healthy kelp bed. All images by and copyrighted to my friend and diving companion Ingrid Knapp. Used with permission.